Join us for the second annual evening of fine wine, food and Shakespeare with the Red Rose Chain on the 30th of July. You will be greeted with canapés and Bouvet’s gold medal winning fizz, Saphir Brut, followed by a specially designed dish paired with some our favourite summer wines, at Jimmy's Farm's famous restaurant in Suffolk. 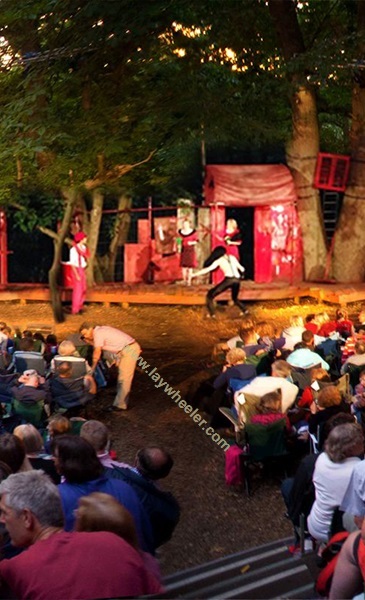 We will then venture into the forest, where prime seats will be set aside for you to enjoy what promises to be an energetic, engaging and downright fun performance of Shakespeare’s Tempest. We’ll also enjoy desserts during intermission in a special VIP area. Limited tickets available -- early access price until 11 July.